Did you know? Recycling 1 ton of PET containers saves 7.4 cubic yards of landfill space! Packers feature wide openings, allowing for easy filling and dispensing. 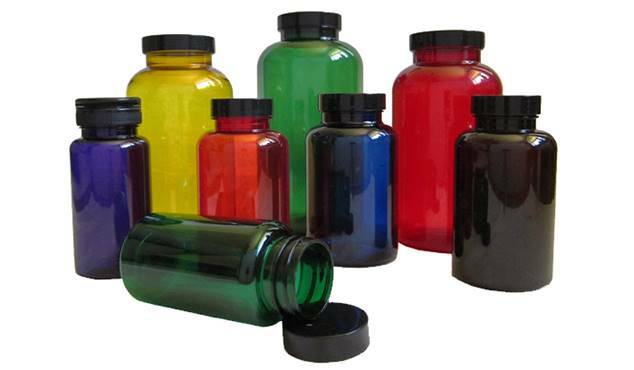 We have plastic packer bottles in a variety of colors, plastic types, and wall thicknesses. Learn more about our PET Packers below. 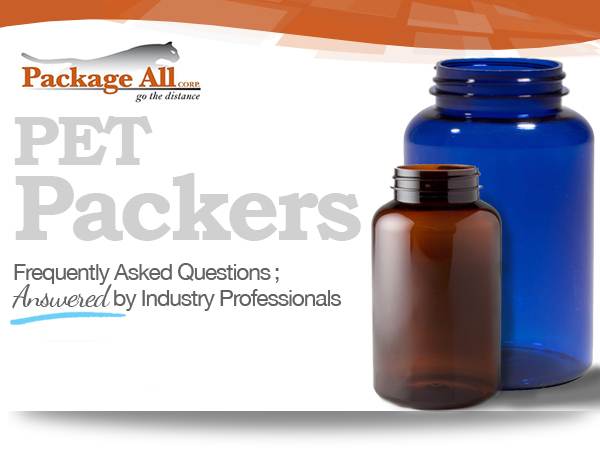 Packers are bottles that can carton medications, herbs, capsules, gel-caps, supplements, and pills. They work for a variety of industries such as nutraceuticals, pet products, household chemical products, and more. PET is a type of plastic material that is largely favored as the “marketing choice” for packer bottles. PET offers many advantages. It’s lightweight, shatter resistant, sustainable, BPA free, has high clarity, and is 100% recyclable. PET also has excellent moisture and water resistance, which makes it a great option for packaging both food and non-food products. What are the benefits of Packers? There are many benefits for the use of packers. Packers are preferred because they are light weight, which makes them easier to carry around. They are also extremely durable, which means they can be dropped without breaking. When sealed, packers are air tight, which helps keeps their contents fresh. PET Packers come in a variety of sizes. The classic packer is available in sizes from 1.35 oz – 3000cc. 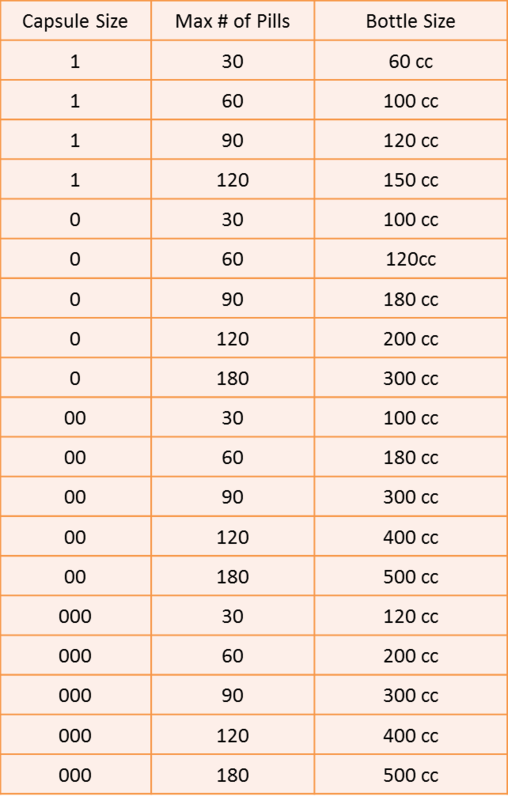 The table below will guide you on what size you need based on the quantity of pills that the bottle needs to hold. What color options are offered? PET Packers come in many hues to choose from. 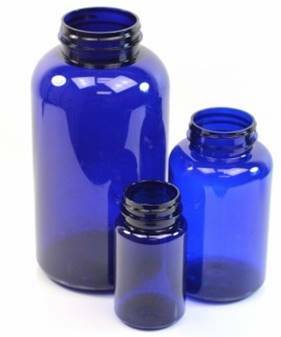 We offer bottles ranging from classic colors like amber and white to more vibrant options like blue and green. We also offer additional colors upon request. For more information on our PET packers please Contact Us.